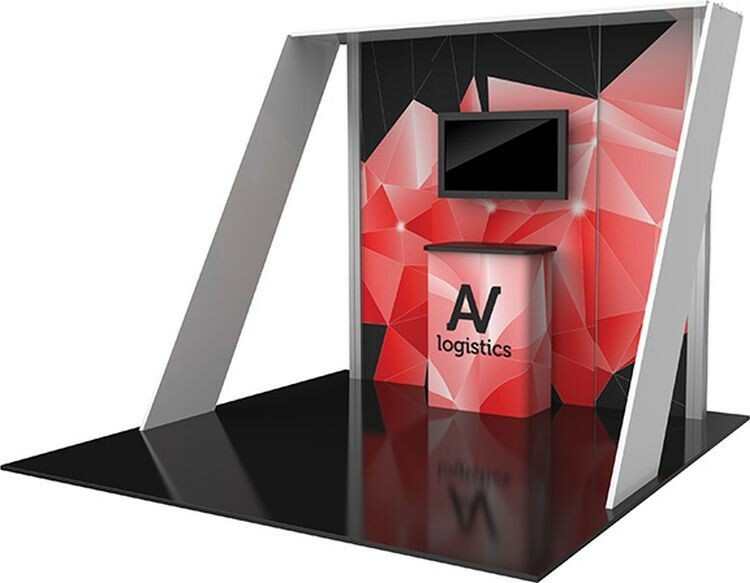 Hybrid Pro Modular Kit 07 is a striking 10ft x 10ft inline display solution for the serious exhibitor. Kit 07 combines heavy-duty aluminum extrusion frames and push-fit SEG fabric graphics for a stylish and finished look, and features a central monitor mount and counter with locking storage that add function and space for additional messaging. It has never been easier to have a commanding presence than with Hybrid Pro Modular 10ft x 10ft Kit 07.